Today's guest post comes from Jonathan Rees, professor of history at Colorado State University - Pueblo. He's the author of Representation and Rebellion: The Rockefeller Plan at the Colorado Fuel and Iron Company, 1914-1942 (University Press of Colorado, 2010). He also blogs about historical matters at More or Less Bunk. I’ve never taken a poll on the subject, but I strongly suspect that many of my fellow historians first encountered a college library the same way I did: as a member of their high school debating team. If by chance you weren’t a debate geek like me, let me briefly explain the way the system worked (and still does). The National Forensics League, the big national high school debate group, would give all students in the country a big, broad topic. The one I remember most fondly from my years in high school was court reform. You would research a more specific reform to propose when you were taking the affirmative. My partner Ahmed and I proposed a federal reporter shield law that year. You had to have a case for reform with plenty of specific factual evidence ready before the summer was even over if you were going to compete successfully on a national level. That’s why you had to go to a college library, to find lots of relevant information fast. The harder side to argue was always the negative. While you could prepare your affirmative case in advance, you never knew what reform the other team would propose until their first speaker started talking. That’s when you had to make a mad dash to your file box of index cards to prepare a crash course on just about anything so that you could convince the judge to shoot their case down. Speed was of the essence. If you couldn’t gather your evidence before it was your turn to speak, you might very well stand up there with no experts to cite, and who’d believe you then? When I went to graduate school, I took my debate-ready research habits with me. My dissertation was like a big affirmative case with loads of index cards covering every aspect of my subject and huge piles of copies replacing the debate briefs that some firms sold in order to make arguing anything easier. Lucky for me, there was no time limit. I’m not talking about the overall project (which I got done in what was a very reasonable time for a history PhD, if I say so myself). I’m talking about finding individual quotations from sources that I’d copied or transferred to index cards. I can’t tell you how many hours I spent digging through cards and papers looking for something I knew I had read, but couldn’t exactly remember where. When I started my second book in 1999, the one after my dissertation, I decided to rectify this problem. I bought an early-computerized notes program. After writing a different book in the interim, I just finished almost all of the manuscript from that earlier project in a major writing tear over this last summer. As a result of my delay, it took me ten years to realize how great computerized notes programs really are. It was hard enough back in graduate school to find things that I’d read only a month or a year before. Try finding things that you wrote down over a decade ago! Even the program I bought way back in 1999 allowed me to search my notes by individual words. This not only saved me time, it made it possible for me to quickly regain intellectual control over a huge amount of information. Recently, I asked two separate historians whose work I greatly admire what notes program they used. In each instance, they looked at me like I was speaking Greek. I tried to explain to them the advantages that I’ve described here, but they were both of the “If it ain’t broke, don’t fix it” school of research. Certainly using pen and paper for notes won’t prevent them from doing more great work in the future (albeit slower than it would otherwise have to be), but I figure my students might as well keep up with the times. I’m teaching both the undergraduate and graduate history research classes this semester, so I’ve required them to use the newest generation in notes programs: Zotero. Unlike the hundred dollars I plopped down in 1999, Zotero is free. It was created by the Center for History and New Media at George Mason University and it’s really quite an incredible program. It not only allows you to search through your notes by word or by category the same way my decade-old notes program did, it allows you to pull in PDFs or screenshots from the web and search through those too. Suppose you find a full-view book on Google Books that you like (a common occurrence for those of us who work on American history before 1923). Zotero will record the entire lengthy, complicated URL automatically so that you can get back to it easily. 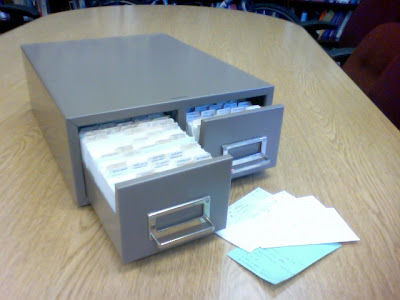 Furthermore, you don’t need a web connection to use Zotero, so you can enter information manually and search through that the same way that you find material in these easy-to-record web items. Until very recently, I would have said the one pitfall of using Zotero is that it only worked through the Firefox browser, a browser that has looked less and less useful to me the more I experiment with other choices. It turns out they just took care of that problem. Indeed, you can now get Zotero as a stand alone program so that you don’t even need to use a browser at all. With the introduction of Google Books, newspaper databases like Chronicling America from the Library of Congress and comprehensive journal databases like Jstor, history research has changed forever. You don’t need to be near a great library to have access to scads of excellent primary sources. The main problem that students and historians alike now face, if they want to write about the last two or three hundred years, is not too little information, but too much. In the future, the quantity of sources will tell us little about research, it’s the ability to find the right information for any given point that will matter the most. You can still write history using methods that stood in good stead back in 1985, but if there’s a new way to manage gobs of information faster, why wouldn’t you want to try it? Jonathan: Enjoyed reading the post. That's a picture of my index card file for the diss. I certainly recall losing some valuable notes, only to find them 2 or 3 hours later, after much weeping and gnashing of teeth. I plan to download the Zotero software. Sounds like it makes things a ton easier to manage! Zotero is great, but the stand-alone isn't actually available yet. The announcement was that they are currently working non-Firefox versions, which previously they said they had no plans to do. My apologies for jumping the gun on the Zotero stand alone program. As the announcement was just yesterday, I hadn't had any time to go over everything closely and try to access my own Zotero database through a new browser. Come to think of it, did I mention it synchs so that you can access your notes from multiple computers? That's awfully cool too. Yes, the sync is great. Any computer with Zotero has all my citations, notes, attached and marked-up pdfs, etc. You can do it through their server (a certain amount free, then you can pay for additional space as needed) or I have mine set up through Jungle Disk (which uses Amazon S3 storage) which I use for general backups, and the storage is cheaper. This is so depressing! I don't even use notecards; I write on the back of scrap paper. I had no idea this was available.